What does it mean to major in political science? Political scientists analyze political institutions, political processes, and political behavior at the local, state, national, and international levels. They study political actors and organizations within the context of American government and politics, comparative government and politics, international relations, as well as policy analysis. Political science majors gain a broad understanding of the political world in which we live as well as skills in analysis, judgment, problem solving, social science methodology, writing, argumentation, and persuasion. Their strong communication skills and analytical reasoning are two skills that position them for jobs across almost the entire spectrum of employment. Their political knowledge and efficacy makes for effective citizenship in our democracy. Why is the University of Mississippi a good place to study political science? We have 17 faculty members, with exceptional strengths in political behavior, international conflict, and experimental research. Students engage in faculty research, and have opportunities to learn in the field. We place interns in Jackson during the legislative process, in Washington D.C., New York City, and Atlanta. 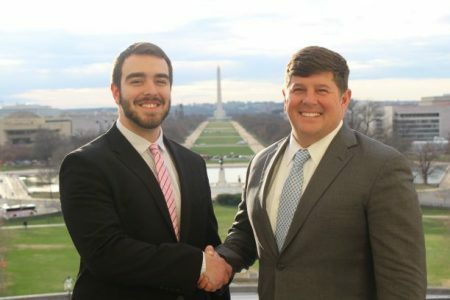 While earning credit towards the major, students in internships get direct experience in the political setting of their choice. We also have travel courses with UM faculty such as The Politics of Money in Washington D.C. These valuable experiences reinforce and apply lessons from the classroom, and sometimes lead directly to the first job after graduation. The UM Mock Trial Team provides an opportunity for undergraduates to learn about the U.S. judicial system and the work of trial attorneys. The team travels to regional and national competitions allowing students to hone their oral communications and legal skills. The department’s Take 5 program allows students with excellent academic records qualify for admission to a five year B.A./M.A. degree program. This program requires that students apply in the spring of their junior year. Admitted students then take a few graduate-level courses in the senior year working toward both undergraduate and graduate degrees in an expedited, five year program. Students completing the B.A. or B.S. degrees in the College of Liberal Arts are eligible for a new Accelerated Law (3+3) program with the UM School of Law. If accepted, students begin the first year of law school after the junior year, and use the first year law courses to fulfill general elective hours for the undergraduate degree. Therefore, in six years instead of seven years students would receive their undergraduate and JD degrees. 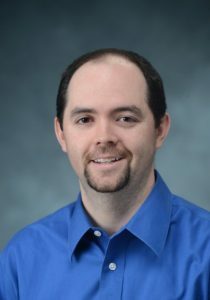 Dr. Conor Dowling, Associate Professor of Political Science, earned his Ph.D. from Binghamton University (SUNY). His research specialization is in American politics, particularly campaigns and elections, election law, political behavior, public opinion, and political psychology. His recent co-authored book, Unhealthy Politics, draws on public opinion surveys, physician surveys, case studies, and political science models to explain how political incentives, polarization, and the misuse of professional authority have undermined efforts to tackle the medical evidence problem and curb wasteful spending in the United States. The book offers vital insights not only into health policy but also into the limits of science, expertise, and professionalism as political foundations for pragmatic problem solving in American democracy. What can political science majors do after graduation? A liberal arts education empowers and prepares students to deal with complexity and change through a broad knowledge of the world. They gain key skills in communication, problem-solving, and working with a diverse group of people. Related careers in political science include policy research, government, business, survey analysis, marketing research, lobbying, law, military, education, and public relations. An avid traveler, Sailer studied abroad for two summers in Amman, Jordan, and studied for a fall semester at the University of Edinburgh, Scotland, where she learned about sustainable development and political theories of global justice and citizenship. Sailer’s education was enriched through an internship with Syria Direct, a NGO providing news and assisting journalists reporting about the war in Syria, a research internship with the Hudson Institute’s Center for Political and Military Analysis, and a fellowship with the non-profit Mississippi Sustainable Agricultural Network. Her undergraduate honors thesis research focused on the impacts of water scarcity on intrastate conflict and U.S. national security. After graduation Sailer spent the summer in Cairo and Amman to further her Arabic skills. 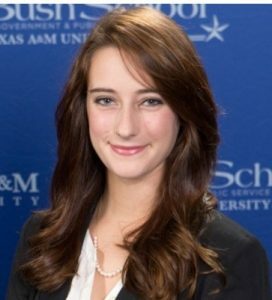 She is currently earning her master’s in international affairs with national security and diplomacy track in the George Bush School at Texas A&M, and is interning at the National Defense University’s Eisenhower School. Sailer hopes to bring together her national security and humanitarian interests in a role working for the federal government in international affairs. Whom should I contact to learn more about majoring in political science?